This Picture Frame is Made of Durable Plastic with Black Borders and Clear Acrylic Covering! This Picture Frame Displays any 8-1/2" x 11" Images. Buy Cheap Photo Frames Online Today, Thousands In Stock! 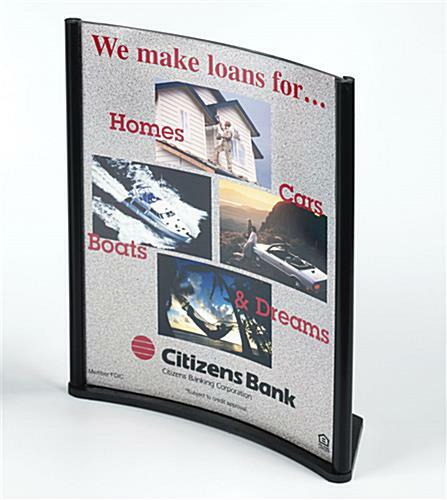 This picture frame is designed to display posters, signs, and graphics on any hard surface, such as a reception desk or check out countertop. 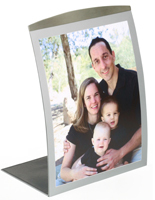 This picture frame is made with durable plastic and is built to last, even with continious use. 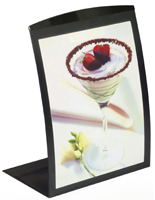 Modern, concave picture frame accommodates a standard 8-1/2" x 11" sheet right from your printer! Decorative black plastic base and side columns. Single sided display. 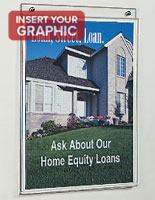 Your graphic slides in from the top, is sheltered by a clear acrylic covering and supported by a black plastic backer.